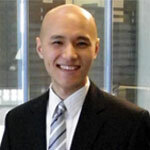 Eric Cai works as a Biostatistical Analyst at the British Columbia Cancer Agency in Vancouver, where he studies how well patients survive after surgical treatment for cancer. He earned his Master of Science degree in statistics at the University of Toronto, and he earned his Bachelor of Science degree with a major in chemistry and a minor in mathematics at Simon Fraser University. In his spare time, he writes a popular blog, The Chemical Statistician, where he shares in-depth tutorials and short lessons on statistics, machine learning, chemistry and math. The Chemical Statistician also has a Youtube channel and a Twitter feed @chemstateric.